1 - 17906 Yonge St. IMPORTANT: Please bring photo ID OR a printout of your email registration confirmation for race kit pick-up. If you are picking up for family, friends and/or select team members all you need is an e-mail confirming you can pick up their kit on their behalf or their email registration confirmation.If you are picking up for the entire team, please come prepared with a list of team members. 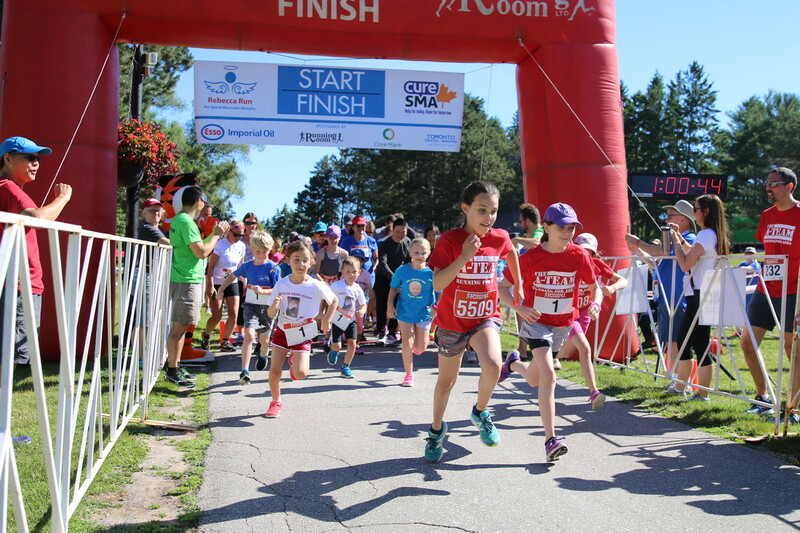 Saturday July 6, beginning at 7:45 am at the Run site - Fairy Lake in Newmarket. There is NO run day registrations. It will be busy, so please plan accordingly. From 400: Exit 400 on Hwy 9 right/east (to Newmarket - 10 minute drive). Follow Davis Dr. (hwy 9) to Main St. Turn right (south) on Main. Follow till Main St ends at Water St and turn left (east). Fairy Lake is on the south (right) side, just over the bridge. GREAT parking - turn left on Doug Duncan Dr and park in the in the Newmarket Community Center parking lot. Enter Fairy Lake at Water St by foot and walk the path till you find us (about 400 meters into the park). straight through it becomes Prospect Ave). At the bottom of the hill, just over the tracks, turn left/south into Fairy Lake conservation area. Early arrivals will be able to park inside Fairy Lake. Please follow the directions from the parking volunteers accordingly. If you require handicapped parking, you may park in Lot #2 or #3. Alert the parking volunteer and they will direct you accordingly. - Newmarket Community Center parking lot across the street or along Main Street in downtown Newmarket. - Cane Parkway (west of Fairy Lake and a really short walk to the start line). 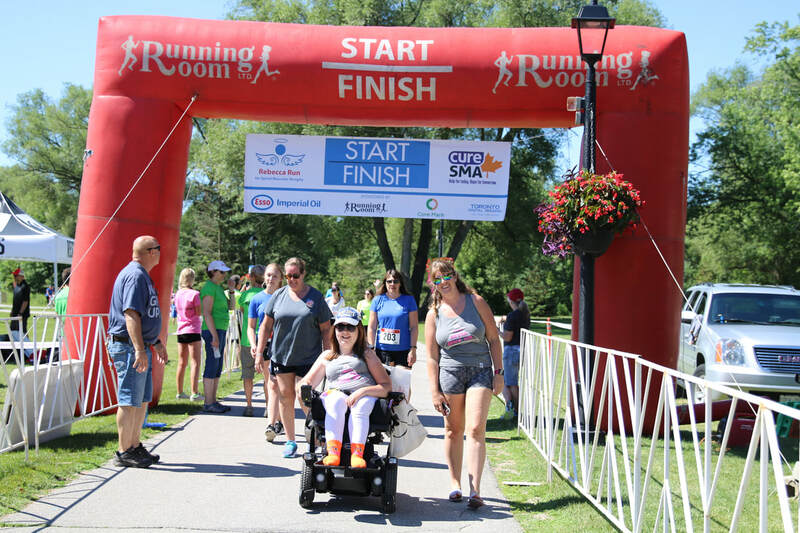 The Rebecca Run for SMA will take place rain or shine! This event will not be re-scheduled. Your bib number must be visible on the front of your shirt. Only Runners wearing and showing a bib number will be allowed to cross the finish line and receive post Run refreshments. Do not remove the "bibTag" from your bib. Do not fold your bib or excessively bend or twist the "bibTag". Wear your bib on your front. Do not wear on your back, side, leg or arm. Remember, "NO BIB = NO TIME!" The route is a scenic out and back course along the Tom Taylor Path. Click here to see the 5k route. Click here to see the 3k route. Line up at the start line according to your estimated finishing time. The faster you are - the closer to the start line you should be. If you are going to run/walk, please line up towards the back of the group. To ensure a safe start with proper seeding we ask that you listen to our run announcer and line up in the appropriate area. The park paths are not closed to the public and we must all share the path. Please keep to the appropriate side of the path when there is two way “traffic”. When there are others on the route, please run in SINGLE FILE along the right hand side of the trail. When overtaking/passing a runner, pass on the left. A quick, “ON YOUR LEFT” lets others know of your presence. Wearing headphones is discouraged for safety reasons and as a courtesy to other runners who assume you can hear them approaching or marshals who need to give you instructions. If you must stop, please step off the path onto the side so you do not impede those behind you. Please do not litter. The park is lovely - we want to leave as small a footprint as possible. All registered 3k and 5k participants will receive a finisher medal. 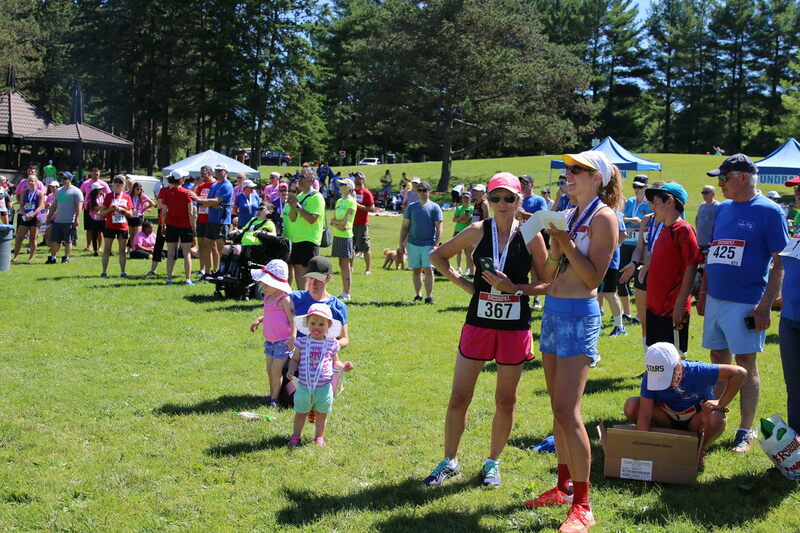 Top Three Finishers – men and women overall and top 3 per age group (10 year age groups). Volunteers will be in the Fundraising tent to collect pledges. You can drop off any funds you have there. All incentive prizes will be mailed out within 6 weeks of the run. Baggage opens at 8:00am. You are strongly encouraged to deposit your bag as early as possible. Remember, don’t leave anything valuable in your bag. They’re near the start/finish area, in the low building along the path! Give yourself plenty of time to use the bathroom. Only registered participants with a bib will have access to the post-run BBQ. Non-registered participants (friends and family members) may purchase a BBQ ticket on run day for a minimum donation of $5. Have fun, support your fellow runners and remember you are helping make a difference in our Run to find a cure for SMA.